How do I remove the map (or placeholder "Oops! 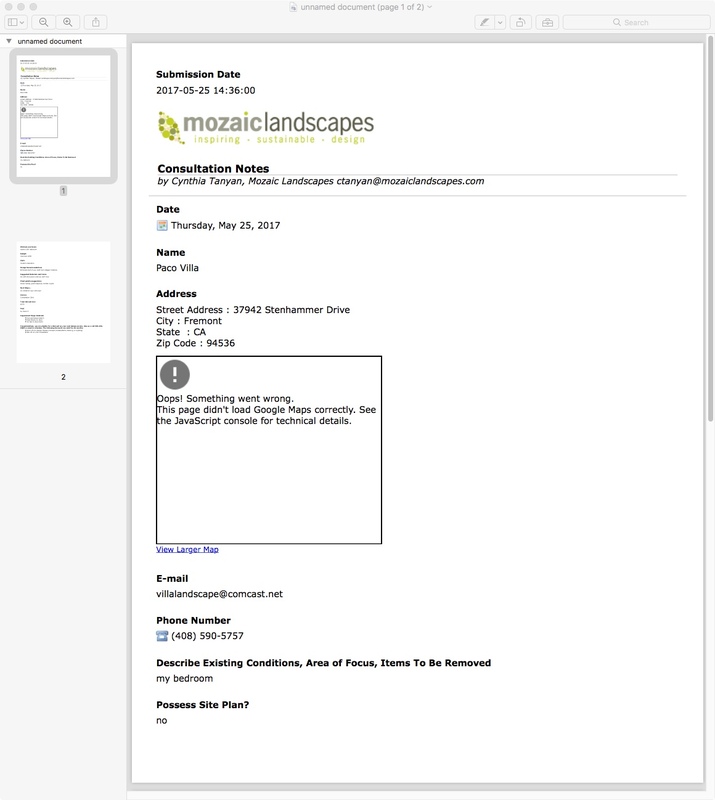 ...) showing after address field on submission printouts. 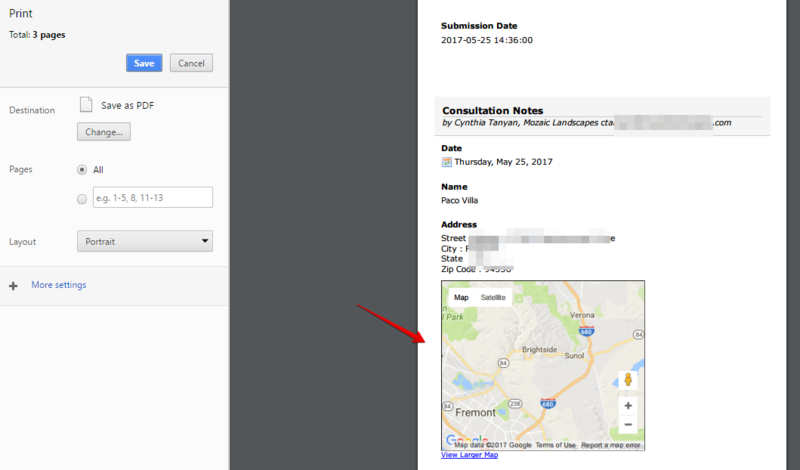 Two of my forms, now show and print out a map after the address field. Rather it is a placeholder that says "Oops, something went wrong, This page didn't load Google Maps correctly..."
This is very problematic, it did not used to show up, but now does. Can you tell me how to remove from my two forms. when I go to print and mail a pdf to a client, the file shows up as "unnamed document" Is there a way to give these a name before sending? I could not replicate the same issue because all the existing submissions data on your form do have correct full addresses on them. And the google address map always shows on the print out. I do not see any other means to replace the placeholder text you see for the disconnected google map (address map not successfully loading on the print out page due to possible internet connection issue). 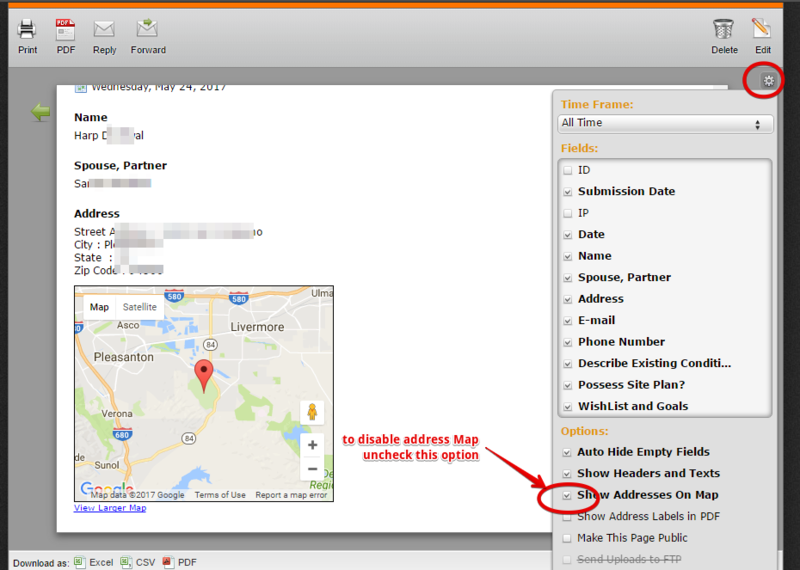 The most you can do is to disable the address map and rely only on the full address TEXT data.